Wunghnu Primary School offers an extensive curriculum in a state of the art school environment. 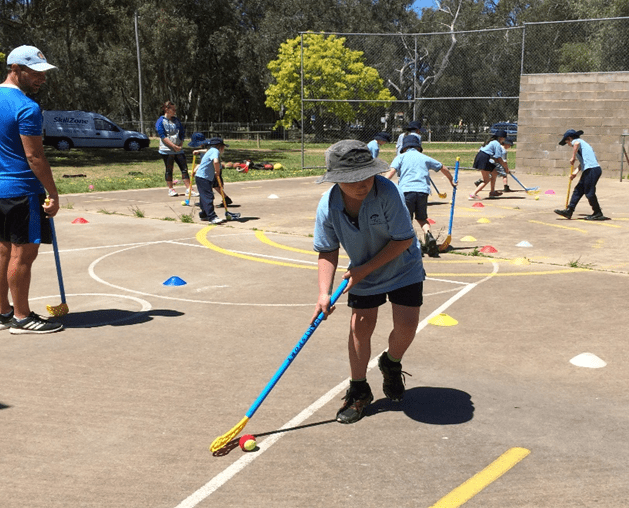 The school is ideally situated on the banks of The Nine Mile Creek and directly beside a pristine Red Gum Nature Reserve that the students can utilise as part of their learning. In consultation with the School's many partners, students have the opportunity to complete Environmental studies on a variety of topics in a hands on and engaging manner. Wunghnu Primary School prides itself on its family atmosphere, welcoming community involvement and parent and family participation. The small number of students at the school and missed classes ensures all learning tasks are differentiated to suit each students individual learning needs as well and allowing for students to learn from their peers in other year levels enabling extension and a more fluid transition throughout the year levels. 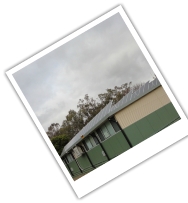 The staff at Wunghnu Primary School are dedicated to creating a challenging and engaging daily program with the intention of building our students into capable and confident life-long learners. 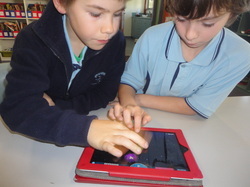 Our Curriculum combines hands on activites and ICT rich activities such as computers and iPads. A variety of physical activities. Students learn in many different ways and the iPad program provides them with an opportunity to explore a variety of different styles to compliment their preferred learning. 15 Kw of Solar Power Generation. As part of our commitment to Biodiversity, the school was one of a select few to receive a $50,000 solar system. In effect, our school is now Carbon neutral. Students analyse and compare consumption and power generation as part of ongoing numeracy studies. 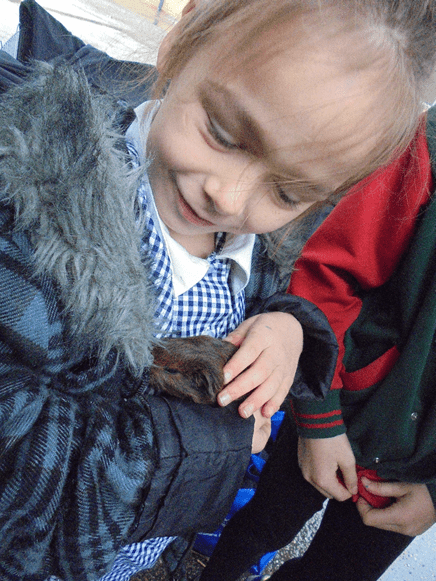 Wunghnu Primary School is part of the Resource Smart AuSSi Vic Program which sets stringent Biodiversity guidelines for acceditation. Commitment to biodiversity and strong links with the local community and political leaders such as Suzanna Sheed . 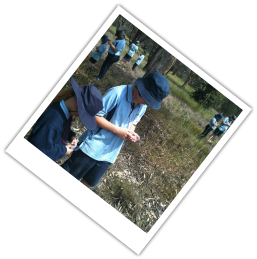 Students completing bug detective session in the local Red Gum Nature Reserve. Navigation is taught to all students, transitioning from the classroom and out into the Nature Reserve to complete a variety of Navigation Courses. Students access the local environment to complete hands on activities designed to complement the theoretical work completed in class. Students see that their learning has a "real life" purpose. 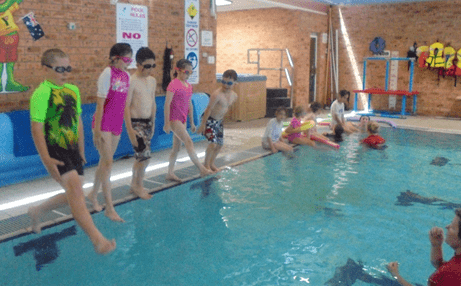 Swimming Program conducted by Trained Swimming Staff.